The family of Mr. Vu Van Thanh, 47, living in Minh Tien hamlet, Dong Thinh commune (Yen Lap, Phu Tho) has 7 people. Like other families in the hamlet, their income mostly relies on farming such as growing rice and other farm products like corn or soybean and raising livestock. Recently, the oldest son Mr. Vu Kim Thang, 25, has worked some seasonal jobs to supplement the family income, but it is unstable work and their lives are still up and down. Thanh has a modest limb disability since a labour accident 10 years ago, which makes his body tremble as he moves and work is a struggle. Despite his disability, he doesn’t receive government assistanance from the Ministry of Labor, War Invalids, & Social Welfare which typically gives out monthly allowances from the local government. 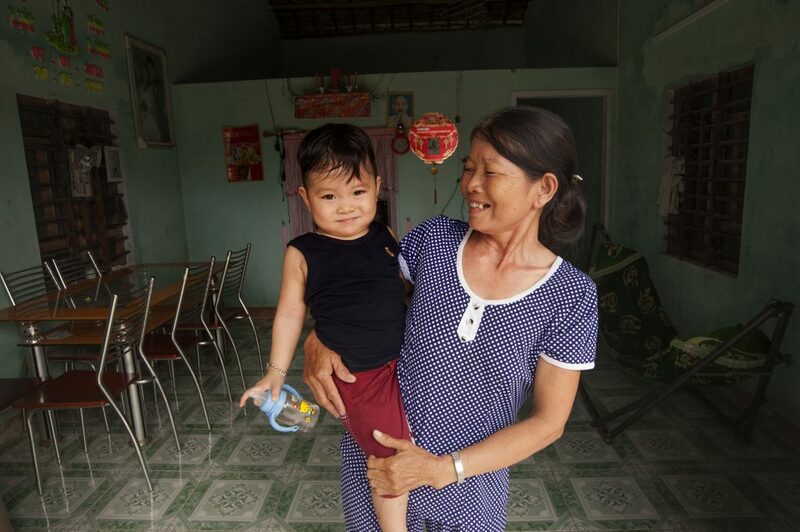 Thanh’s mother, Mrs. Nguyen Thi Ban, 83, is one of the long term residents of the hamlet. Although he is pleased his mother is living with the family, he is worried about her unstable health where she is often sick and her sickness does not let her socialize with others. Additonally, the expenses for her treatment have created a significant burden on the family for years. Ms. Hoang Thi Lien, 48, Thanh’s wife, discussed how her family used to take well water for daily use even though it was unhygienic. The water was easily polluted after raining because rain water would get into the well and during the dry season there wasn’t sufficient water for their daily needs. Thanh and his wife in front of the old well. Feeling insecure about their water source, Thanh and Lien, decided to apply for a loan to upgrade their water facilities. 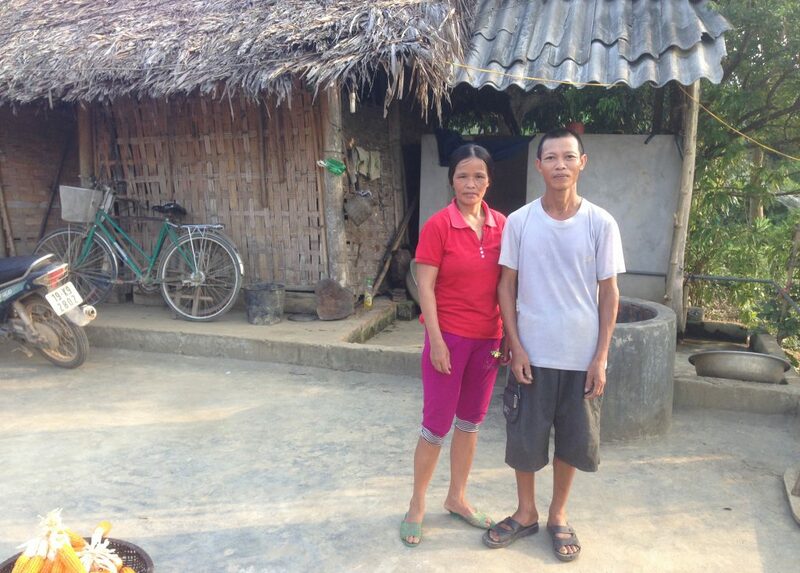 The support of a loan of 10,000,000 VND (US$ 455) has been a blessing for the family to access to safe water. Thanks to the technical advice of HFH Vietnam, Thanh and Lien set up a drilling well, water pump system and a stainless steel water tank. Since the installment of the system, the family’s sanitation has improved. Lien particulary feels her life is more convenient now and the new facility has lessened the workload for her and her family as they used to have to use buckets to get water from the well. “Previously, we had to take water from the well and poured it into a big tub for our mother’s use at home before going to work. Now that we have the water supply system in place, we don’t have to do it anymore. 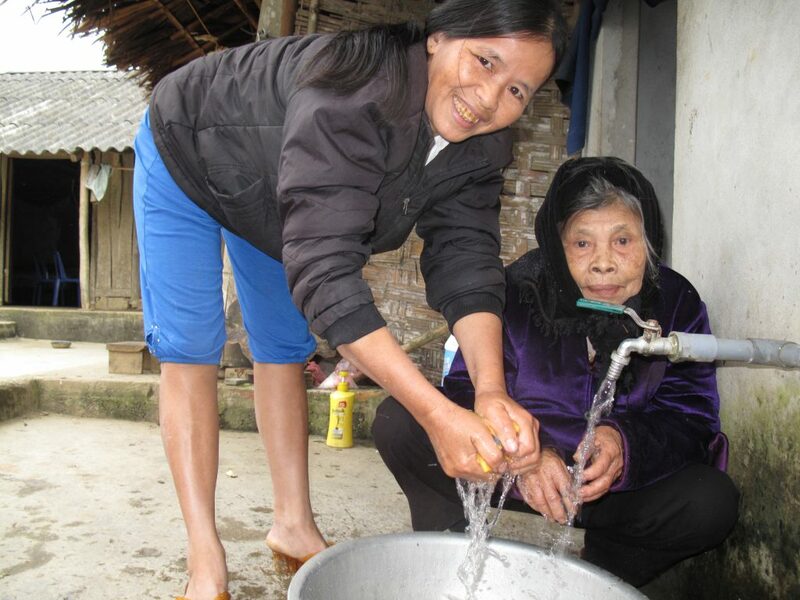 It’s leisurely because we just need to turn on the faucet and have clean water ready.” – Mrs. Hoang Thi Lien. 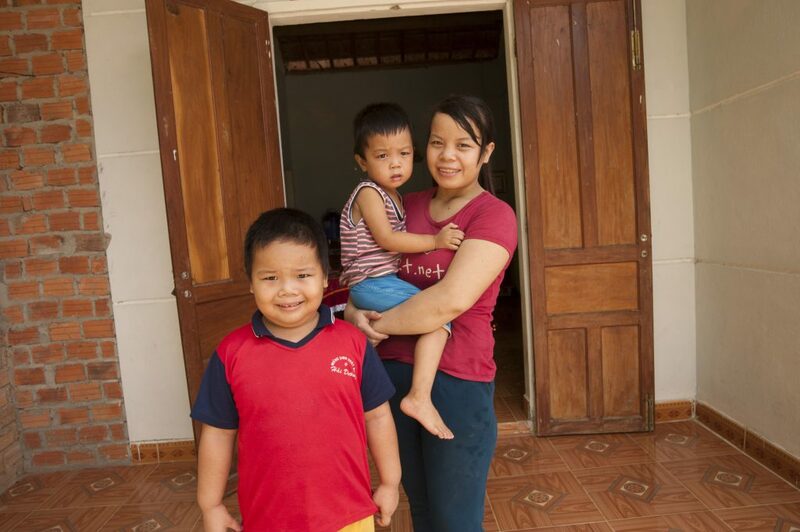 Since obtaining a hygienic and convenient water supply system, Thanh can focus his efforts on his children’s education and improving the deteriorated house. They wish Habitat will continue extending the services to the community so the family can have access to improve their living conditions. This is a message to the admin. I came to your “We have to work less thanks to the new clean water system” | Habitat for Humanity Vietnam page by searching on Google but it was difficult to find as you were not on the front page of search results. I know you could have more visitors to your website. I have found a company which offers to dramatically improve your website rankings and traffic to your website: http://hdmh.info/37 I managed to get close to 500 visitors/day using their service, you could also get many more targeted traffic from search engines than you have now. Their service brought significantly more traffic to my site. I hope this helps!